We proudly offer St Mark James childcare first aid courses. This first aid course is unique only to the St Mark James and only certified St Mark James training providers can offer this course. This course is designed for candidates that want to or work in the child care industry. Candidates have the option of selecting either emergency child care first aid or standard child care first aid courses. Emergency child care first aid courses are one of the most intensive first aid courses offered through the St Mark James. It is a 8 to 10 hours course that mirrors the first aid content of a standard first aid course. Standard child care first aid courses are almost identical to standard first aid courses. They are 14 to 18 hours in length and also mirror the first aid content of a standard first aid course. Candidate enrolled in either child care first aid course will learn the same amount of first aid and CPR content. 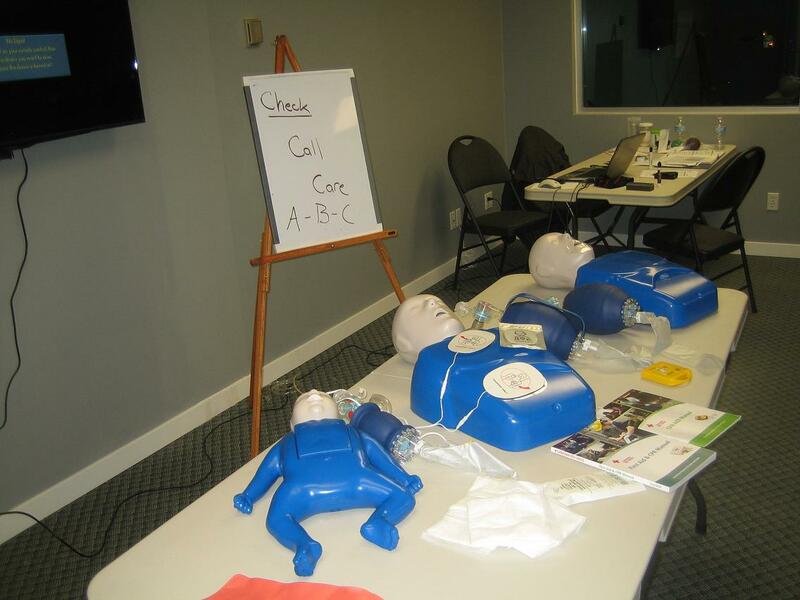 Both child care first aid courses include CPR level “B” and AED training. Upon completion candidates will receive a St Mark James child care first aid, CPR and AED certificate that is valid for 3 years. Re-certification courses are not available for child care first aid courses and candidates must re-take this course to renew certification. To register for a emergency or standard child care first aid course in your are select your location from on the menu’s to be directed to a St Mark James training provider in your area. Learn CPR rescue techniques for child and infant victims by enrolling in childcare first aid and CPR level “B” training in Canada with St Mark James. Candidates registered in this St Mark James first aid course will learn an extensive amount of first aid information. The following is a list of the course content of a 2012, St Mark James child care first aid, CPR and AED course. Candidates do not get to select a option of CPR training in the course. Candidates can only receive CPR level “B” training for this course. Candidates that successfully pass the skills component and the multiple choice test with a minimum grade of 75% will receive a St Mark James emergency or standard child care first aid, CPR and AED certificate. This certificate is valid for 3 years and meets government and legislative standards for your area. Certificate is issued as a wallet sized card, however, candidates can also receive wall sized mount certificates at a small extra fee. Certification is nationally accredited and valid throughout Canada. Re-certification courses are not available for emergency or standard child care first aid. Candidates must re-take the course to renew certification in child care first aid. We are proudly partnered with St Mark James first aid providers throughout Canada that offer standard or emergency child care first aid, CPR and AED certification courses. We have training centres in Vancouver, Surrey, Victoria, Kelowna, Edmonton, Calgary, Saskatoon, Regina, Winnipeg, Hamilton and Ottawa. We partner with only the highest quality St Mark James training providers in Canada. For more information about our standard first aid course providers select your location from the side or main menu. The cost of this course depends on your location. We partner with the most competitively priced training providers in your region that strive to offer the lowest prices. Prices vary from 75 to 90 dollars. Course fee includes taxes, certification fee’s and child care first aid manual. To register for a St Mark James standard or emergency child care first aid, CPR and AED course select your location from the side or main menu. When you select your location you will be directed to our St Mark James training provider for that location. Select the course of your choice and complete the registration form. All of our training partners offer convenient and secure on-line registration.